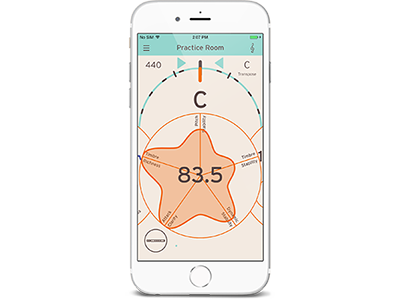 The latest version of the revolutionary tuner app “KORG cortosia” is at 1.6.0 and now evaluates multiple aspects of single notes on various musical instruments. 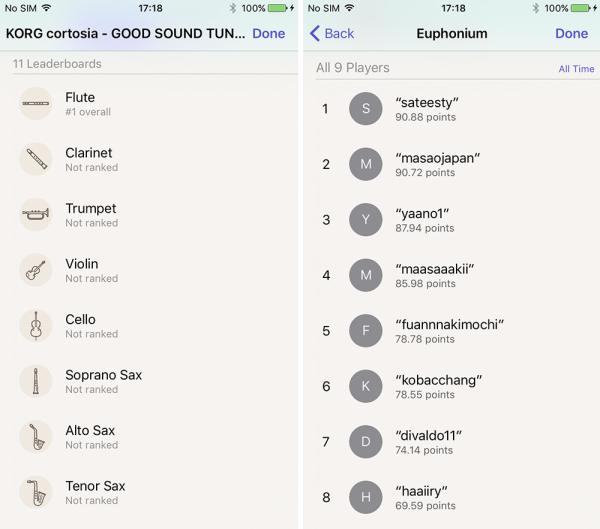 Version 1.6.0 onwards of the KORG cortosia app supports the Game Center where you can easily comparing rankings with other users. Please update your cortosia via the AppStore and use cortosia to immediately improve your performances! Home News The tuner app "KORG cortosia" version 1.6.0 is now available.